I love beef jerky. I tried to make my own in a food dehydrator, but it didn’t work out that well. Maybe I’ll try again using this recipe for making homemade jerky in the oven. After marinading and cutting the meat, you bake it on 175 degrees in the oven for 2-5 hours, until the meat “is dry, darker in color, and breaks gently (not snap) when bent.” It will apparently keep for 2-3 months. 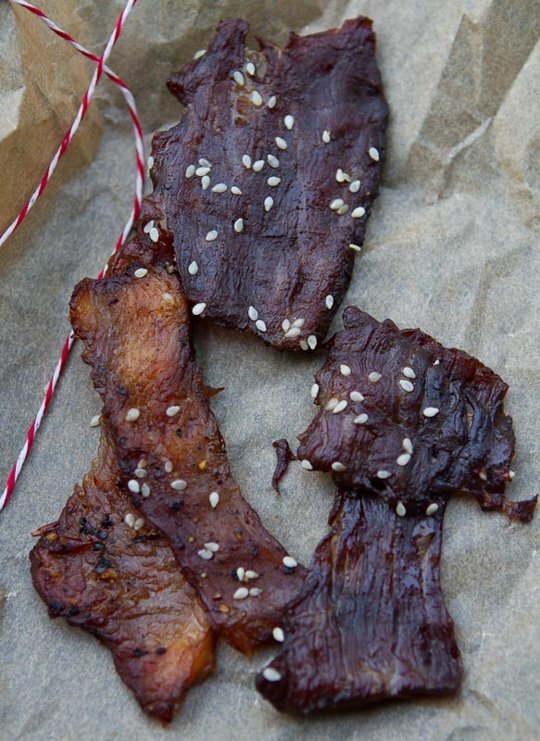 Beef jerky can cost upwards to $40 a pound. At that price, making your own is definitely worth a try.